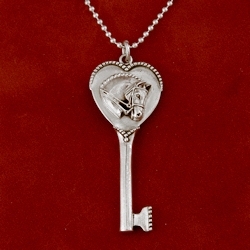 Sterling silver heart key with bead detailing and braided mane. 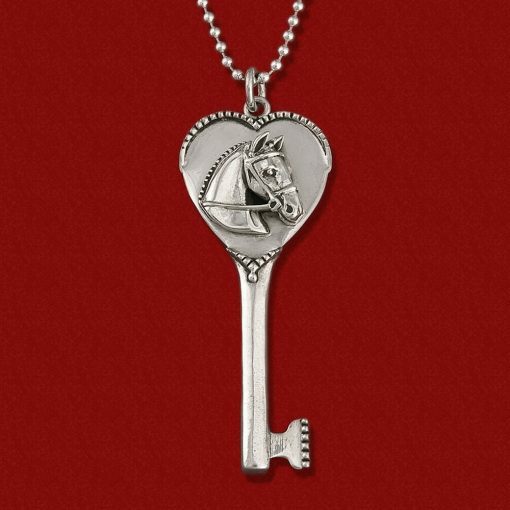 Key length is 2″ and heart measures 7/8″ wide. Room for engraving on the back. 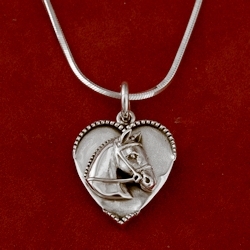 Sterling silver bead chain comes in 18″ or 20″ length and longer sizes available at additional cost. 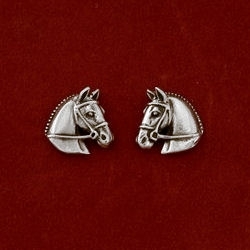 A trendy design with a horsey touch!